Mountain Shiba wants to ensure your complete satisfaction with all of our products. As a family business, we are committed to meet and exceed the customer shopping experience and our goal is to make sure you are 100% satisfied with your purchase. We take great pride in the products we sell because they have been carefully chosen with your dog in mind. The safety and quality of our inventory is our #1 priority and we only sell products that we would use on our own dogs. We understand that hiccups can occur, but rest assured that we will do everything possible to make it right for you. 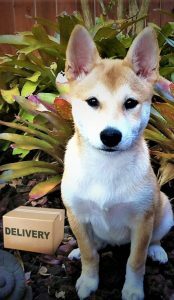 Within 30 days of delivery, please contact us at customerservice@mountainshiba.com and we will be happy to address any concerns regarding your order. Returned items must be in the same condition in which it was received, must be unused (not damaged in any way) and include all original packaging and tags. 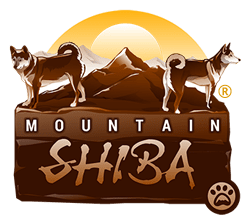 Due to health regulations and for hygiene reasons, Mountain Shiba is unable to accept beds which have been used, damaged or soiled by your dog after receipt. Dog beds must be returned in their original condition (free of dog hair) and include all original packaging and tags. Include a copy of the Mountain Shiba Returns & Exchanges form with your returned item(s). You may download, print and complete the form by clicking on the link below. Mail your package to us at the address shown on the Returns & Exchanges Form. We suggest you use a shipping method with tracking such as USPS, as we cannot be responsible for lost packages. If you receive a product that has a manufacturer defect, you may return it within 60 days for a full refund or exchange. Please download, print and complete the Returns & Exchanges form using the link above. In the event an item was damaged during shipping or an item was sent in error, please contact us within 48 hours of receipt at customerservice@mountainshiba.com. In these cases, Mountain Shiba will pay the return shipping charges. Exchanges must be returned within 30 days from the date of purchase. Once we receive your returned package, we will process the new order within 3 business days and provide you with confirmation via email. You will be responsible for the return shipping cost, but Mountain Shiba will pay the shipping cost of the exchanged products. Should an exchange item be out of stock, we will notify you immediately via email. Please make all returns within 30 days of the purchase date. All refunds will be issued to the credit card used on the original purchase order or to your PayPal account if using PayPal. Once we receive your return, we will process your refund (including the original shipping cost) within 3 business days.